Wow! Three nights in a row without defaulting to pasta, chicken, or going out! I'm impressed - this is a huge feat for us since we usual like to keep it very close to our Italian roots during dinner. Wednesday night wasn't much to speak of, but when you spend a little extra one night, you have to cut back during others. We enjoyed a cozy and comforting dinner of tomato soup and grilled cheesy bread. Nothing too special; but with the usual suspects (salt, pepper, cheese, and hot pepper flakes), and with a bit of fresh basil (all about it this week) - yum! That is one of our favorite meals!! 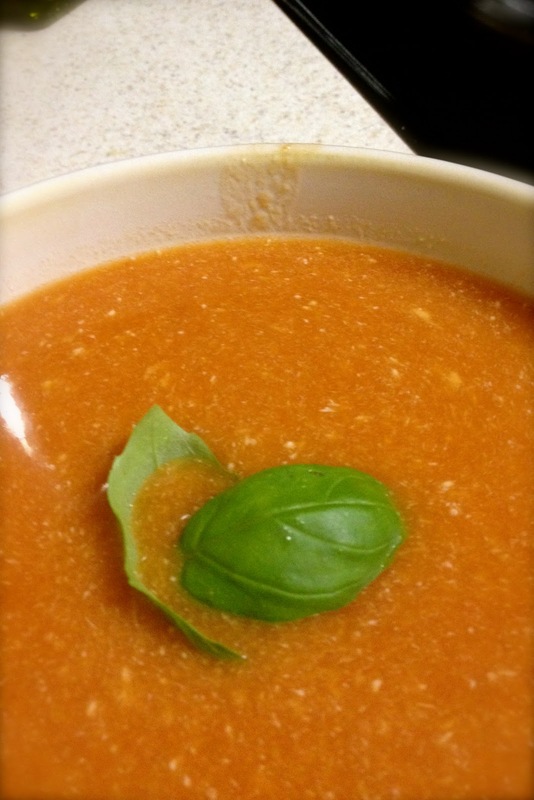 Our favorite tomato soup is the Progresso Tomato Basil. Adding in the fresh basil sounds delicious!